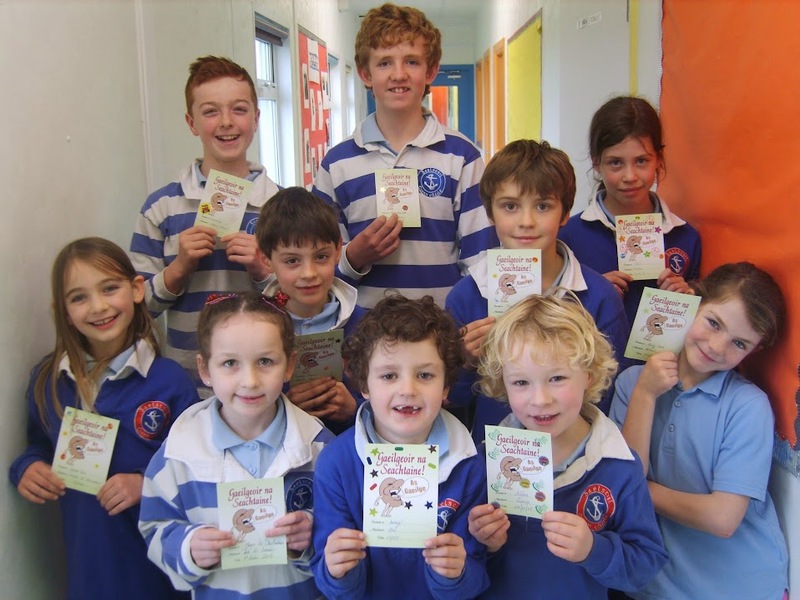 Táimíd ag eagrú seachtain athchúrsáile i n Gaelscoil Chionn tSáile an tseachtain seo chugainn, 2ú- 6ú Mí Feabhra 2015. Beidh comórtaisí, cainteoir, suirbhé agus a lán ranganna bunaithe ar bhruscar agus dramhaíl. Táimíd chun ár ndícheall a dhéanamh chun an brat glas a fháil sa scoil. An téama ná bruscar agus dramhaíl. Caithfaimíd bruscar na scoile a laghdú agus na páistí a mhúineadh i gceart faoi bruscar, athchúrsáil agus athúsáid. Tá cosc ar scragall stáin sna boscaí lóin don tseachtain ar fad. Táimíd ag impí oraibh chun teacht ar slite níos fearr chun na ceapairí a chlúdú e.g. mála ziploc a féidir leat athúsáid a dhéanamh air, nó bosca lón níos lú a úsáid don cheapaire amháin. We are running a recycling week in Gaelscoil Chionn tSáile next week, from the 2nd to the 6th of February, 2015. We will have lots of competitions, prizes, a guest speaker, a parent survey and students will be taught all about recycling and reusing materials. 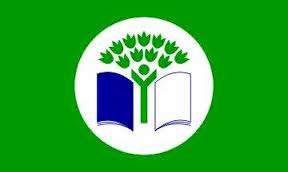 We are going to make many changes and do our best to be awarded with the Green Flag, which focuses on litter and waste. There is a ban on aluminium foil in lunch boxes for all of next week 2nd-6th/02/15. A recent survey which 4th class conducted showed that the most common method of wrapping sandwiches in the Gaelscoil was aluminium foil, which is not easily recycled and not very reusable. We are encouraging parents to consider using another material, such as a ziploc bag that can be reused throughout the week, or even better, using nothing but a smaller lunchbox for sandwiches. Beidh cruinniú (meeting) do thuismitheoirí Rang 6 faoin "Trasdul go dtí an Mheánscoil" ("Transition to Secondary School") in san triú téarma (third term). Beidh níos mó eolas (more information) ar fáil níos cóngaraí don am (nearer to the time). Beidh ranganna Gaeilge ag tosnú go luath i gcóir tuismitheoirí i nGaelscoil Chionn tSáile. Fág d'ainm le Hilda chomh luath agus is féidir má tá suim agatsa ann. Beidh sé ar siúl i gcóir 6 seachtain. Eagróimis am a oireann don chuid is mó daoibh an tseachtain seo chughainn (02/02/2015 - 06/02/2015) ansan. Irish classes will be commencing soon for parents in Gaelscoil Chionn tSáile. If you have an interest in attending please leave your name with Hilda as soon as possible. The classes will continue for six weeks. A suitable time and date will be organised next week (02/02/2015 - 06/02/2015) to suit the majority of the interested parents. Beidh clúdacha foirmeacha á sheoladh abhaile againn amárach, 28/01/15. Líon amach iad le bhur dtola agus seol isteach arís chuig do mhúinteoir ranga. We are sending home a form tomorrow 28/01/15. Please fill in the necessary details and return to your class teacher as soon as possible. Please see below for further details in relation to the Primary Online Database. Information note for Parents on the Primary Online Database. As you may be aware, the Department of Education and Skills is currently developing an individualised database of primary school children, called the Primary Online Database (POD). Individualised data coverage has already been in place for a number of years at pre-primary, postprimary and third level education, and is an extremely valuable resource in monitoring the progress of all students through the education system, including vulnerable subgroups, developing education policy, forward planning, and underpinning payments and teacher allocations to education institutions. The new system at primary level will allow the Department to identify children leaving the education system early or not making the transfer from primary to post primary level. It also will in time deliver benefits to schools and parents by reducing form filling and allowing records to be transferred between schools automatically as your child moves school. The Department is now in the process of rolling out and populating POD across all primary schools. This means that schools are now being asked to provide individual details about your child, including your child's PPS number, name, address, date of birth and nationality, into the POD system. A full outline of all of the data requested, the reasons for collecting each piece of data, and how the data will be used, accessed, stored, shared and retained is given in the POD Fair Processing Notice available on the "POD" area of the Department's website www.education.ie or on request from Statistics section. A Frequently Asked Questions document is also available on the website which outlines answers to some of the regular queries from parents we have received to date. The Department takes the protection of your child's data very seriously. All data on POD is stored on the Revenue Commissioners servers, with the same security protections in place as for Revenue records. Within the Department, only a limited number of Statistics section staff will have access to the individual records. Two optional pieces of information requested about your child, religion and ethnic or cultural background, are considered under Data Protection legislation to be sensitive personal data and require your written consent in order for the data to be transferred to the Department. The current retention policy for POD data is for POD records to be maintained until the pupil reaches the age of 30. This is to allow longitudinal analysis in line with the national and international priorities for lifelong learning, and to allow for pupils to obtain their record from the Department in the future. A POD helpdesk is in place to answer queries and provide any further information you may require, and is staffed from Monday to Friday 8:30am to 5pm. The helpdesk staff can be contacted by email at pod@education.gov.ie or at 01 8892311. Beidh iománaíocht ar siúl maidin amárach (28/01/2015) óna 9 a chlog go dtí a 10 a chlog i Halla Naomh Eltin. Beidh múinteoir ann ag an geata óna 8.45 ar aghaidh. Níl cead ag aon pháiste a bheith ann roimhe sin. Níl cead ag na tuismitheoirí tiomaint laistigh don geata. Bíodh na héadaí / bróga ceart ar gach páiste le bhur dtola. 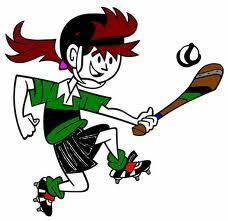 There will be hurling training tomorrow morning (28/01/2015) in St. Eltin's hall, from 9-10 a.m. A teacher will be present at the gate from 8.45am onwards. For health and safety reasons, no child is permitted to be on St. Eltin's grounds before then. In no circumstance is any parent from Gaelscoil Chionn tSáile allowed drive through the gates in St. Eltins. Please ensure that your child has the correct sports clothes and footware. Tá blitz camógaíochta laistigh (indoor) i Halla Ath an Mhaide (Riverstick) ag a 12 a chlog an Aoine seo, 30/01/15. Beimíd ag fágaint na scoile ag a 11.30 r.n. Ochtar gcailín atá i gceist (8 girls) mar sin táimíd ag lorg beirt tuismitheoir (we need two parents to volunteer to drive) chun síobanna a thabhairt. Beidh léitheoireacht bheirte ag tosnú i rang do pháiste ar an Mháirt seo chughainn an 3/1/2015. ar feag leath huair a chloigh.Tá faofú ós na Gárdaí déanta ar na tuismitheoirí agus táid anois ullamh chun teacht isteach agus cabhrú linn. Tá an- áthas orainn go bhfuil é seo chun tosnú! Mar is gnáth má tá aon cheist agat téir chuigh múinteoir ranga do pháiste agus beidh siad lán sásta cainte leat. Shared Reading will commence in your child's class next Tuesday the 3/1/2015 and every Tuesday there after for a 30 minute period. The parents involved have been Garda Vetted and are ready to commence. We are delighted this scheme is going ahead and are grateful to those that are giving up their free time to do so. If you have any questions about the scheme please speak with your child's class teacher who will be more than willing to speak with you. 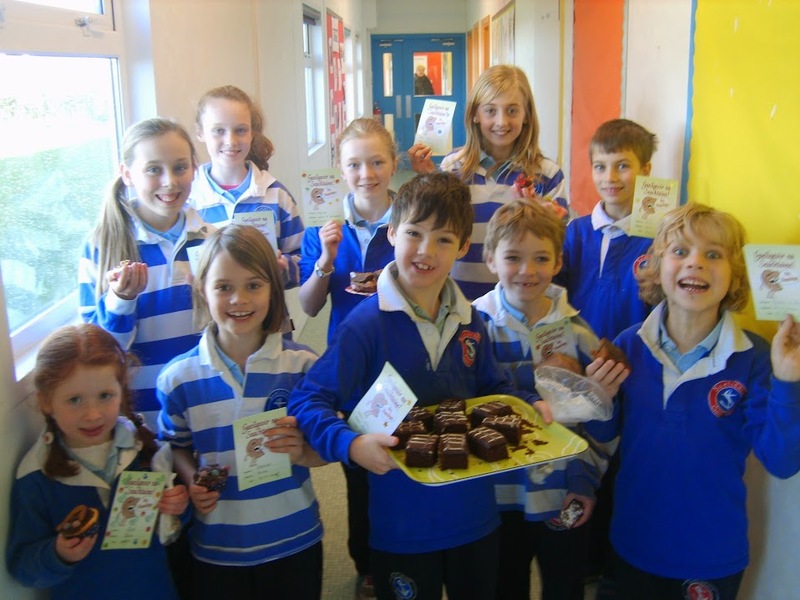 Beidh Rang 5 agus 6 ag dul go Scoil Eoin, Innishannon mar thacaíocht d'ár bhfoireann díospóireachta amárach an Mháirt 27/01/2015. Beimid ag fágaint na scoile ag 12.30 agus beimid thar nais ar a 2.30. Beidh costas E3 do gach pháiste ar an mbus. Fifth and Sixth Class will be going to Scoil Eoin, Innishannon tomorrow, Tuesday 27/01/2015 to watch a Primary Debating Ireland debate and give support to our debating team. We will be leaving at 12.30 and will be back at school at 2:30pm. The cost of the bus is E3 per child. Caithfidh na páistí don Rang Cóineartú bualadh taobh amuigh den tséipéail ar a 8:50 r.n. maidin Dé hAoine seo 23.01.2015. Beimid ag siúl thar nais le chéile go dtí an scoil tar éis an cleachtadh. Ba cheart go dtiocfaidh na páistí Rang 5 agus Rang 6 nach ndéanann creideamh ar scoil mar is gnáth. Children in Confirmation Class should meet outside the church this Friday morning 23.01.2015 at 8:50 a.m. We will be walking back to school together afterwards. Fifth and sixth Class children who are not making their confirmation should come to school as normal. A thuistí, Cuireadh ar an eolas mé go bhfuil TRÍ chás míoltóga ghruaige sa scoil - Rang 1, Rang 2 (M. Róisín), agus Rang 4. Scrúdaigh gruaig do pháiste anocht agus cuir an leigheas cuí air más gá. Tá sé an-dheacair fáilt réidh le míoltóga ghruaige muna bhféachann gach clann ar gruaig a bpáistí féin.Táim ag impí oraibh seo a dhéanamh chun cosc a chur ar an fhadhb go tapaidh. I have been informed of 2 cases of head lice in the school - 1st Class, 2nd Class (M. Róisín) and 4th Class. Please check your child's hair tonight and treat it if necessary. It is very hard to get rid of head lice if each family does not look at their own children's heads. I am imploring you to do this to stop the problem quickly. Bíodh éadaí spórt ( sports chothes) á chaitheamh ag gach phaiste ar an Luan an 19/01/2015 le haghaidh na Ceardlann Scipeála ( Skipping Workshop). Ag brath ar dea-aimsir (weather depending) beidh Ceardlann Scipeála ag gach rang (Skipping Workshop) ar an Luan an 19/01/2015 costas €2 ó gach pháiste. Cabhróidh sé seo linn snas (improve)a chur ár scipeáil agus scileanna nua (new skills) a fhoghlam leis. Beidh na múinteoirí ranga ag bailiú an tairgead seo (class teachers will collect the small fee). Tá cruinnithe Tuismitheoirí Múinteoirí ar siúl sa scoil ar an Máirt agus Déardaoin seo chughainn an 20/1/2015 & 22/01/2015. Beidh an Fhoireann Acmhainn ( Resource Team )- Múinteoirí Máiréad agus Jeremiah agus an Fhoireann Tacaíocht Foghlama( Learning Support Team) SíleBríd ( temporary) agus Maria ar fáil ar an dá lá má tá fonn oraibh bualadh leo (available on both days to meet with you, should you so wish). Táimid ag súil go mór le bualadh libh ar an lá. Níl an Puball Saileacht (willow dome) ró-shásta leis an taimsir atá againn faoi lathair. Beidh sé á shocrú againn chomh luath agus is féidir. Táimid ag fanacht ar (waiting on) níos mó saileach chún é a dheisiú ( repair). Beidh sé go breá láidir (strong) dón Earraigh(spring)! Beidh Rang a 4 ag dul go dtí Naomh Eltin an chéad rud maidin amárach, Dé Céadaoin 14/01/2015. Beidh múinteoir ann ag 8.45a.m. agus is féidir libh na pásití a fhágaint ag an geata. Níl cead ag éinne tiomáint isteach an geata de bharr rialacha Naomh Eltin. Beidh rang a 4 ann go dtí a 10 a chlog ar maidin ag traenáil sa halla. Bíodh éide ceart orthu agus deochanna acu leis. Beimid ag siúl ar ais go dtí an Gaelscoil nó ag fáil síobanna ag braithint ar an aimsir. Fourth class will be going to Naomh Eltin's first thing tomorrow morning, Wednesday 14/01/2015. A teacher will be present at the gate at 8.45 am and your child can be dropped off there. Abiding by Naomh Eltin's wishes, in no circumstance is any parent allowed drive into their school grounds. Fourth class will be training in the hall until 10a.m. when they will walk back to the Gaelscoil with their teacher or be brought back by car, weather dependent. Please ensure that your child has the correct clothes and shoes and preferably a drink with them. Beidh traenáil iománaíochta ag tosnú amárach, Dé Céadaoin 14/01/2015 i gcóir Rang a 5 agus Rang a 6. Beidh sé ar siúl tar éis am scoile óna 2.30-3.30. Beidh múinteoir agus tuismitheoir(í) ag déanamh an traenáil. Fáilte roimh gach páiste sna ranganna seo. Piocfar foireann na scoile ó na daoine a tagann go dtí an traenáil seo. Beidh traenáil ar siúl gach Céadaoin as seo amach go dtí an Cásic(ag braithint ar an aimsir gan amhras). Beidh traenáil iománaíochta ag tosnú ar an Déardaoin 15/01/2015 i gcóir Rang a 3 agus Rang a 4. An scéal céanna le R5 agus R6. Beidh sé ar siúl tar éis am scoile go dtí a 3.30pm agus fáilte roimh gach páiste sna ranganna seo. Má tá ceist ag éinne mar gheall ar an iománaíocht nó má theastaíonn ó tuismitheoirí a bheith bainteach leis an traenáil is féidir libh teacht chugham. Hurling training will commence tomorrow, Wednesday 14/01/2015 for 5th and 6th class. It will be held after school between 2.30 and 3.30. A teacher and parent(s) will be taking the training sessions. Every child in these classes are welcome to attend. A school team will be picked from the children that turn up to these training sessions. Training will held every Wednesday until Easter holidays from now on (weather dependent of course). Hurling training will commence this Thursday for 3rd and 4th class. It's the same story as 5th and 6th training. It will be held after school until 3.30pm. We hope to see a big turn out. If anyone has any questions with regards the hurling training or wish to volunteer their time at the training sessions you may get in contact with me. This year it falls on Sunday 18th of January 2015 – next Sunday. We are inviting the children who are not native to Ireland, to make a picture of the flag of their native country – on A4 page, to be folded over to A5 size, with the picture of the flag on the A5 side. Someone from the group will call to collect them on Friday next – 16th of January 2015. They will be displayed in the Church that weekend, to remind people of the diversity in our community. It is an opportunity to show our appreciation of their presence among us, and to celebrate their heritage. We also invite anyone who wishes, to come to Mass, dressed in the colours of their country. Last year a lot of people remarked on the cards, and wondered at the variety of nationalities among us. We really are a Church of many Nations !!! Thank you, again for your cooperation. I wish you all a very blessed year ahead. Dea scéal: Tá daltaí Rang 3 roghnaithe chun páirt a ghlacadh sa feachtas "Sport for Life". Beidh 10 sheachtain (10 weeks) do ranganna spóirt i gceist ón Luan seo chugainn 12.01.2015 ar aghaidh! Promote participation in sport and physical activity and the importance of a balanced diet for a healthy life. Exploit the huge potential of learning through sport and physical activity by working with professional teachers and developing educational resources. Rang 2 will, therefor,have P.E. on Mondays also. Beidh na cruinnithe T/M againn ar an 20ú agus 22ú Éanair 2015. Beidh am agus dáta faoi leith á sheoladh abhaile chughat ar an Luan seo chughainn an 12/1/2015. Muna noireann an t-am duit , téir go dtí an múinteoir ranga chun am níos oiriúnaí a shocrú. Parent / Teacher meetings will be held on the 20th and 22nd of January 2015. Your individual appointment/s will be sent home with your child on Monday 12/01/2105. If the time does not suit please speak to the class teacher who will try to rearrange for a more suitable time.